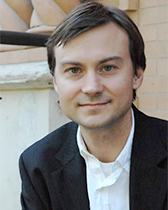 Michael J. Allen (Ph.D., Northwestern University, 2003) is a historian of the United States in the 20th-century who researches the politics of U.S. foreign policy. His first book Until The Last Man Comes Home: POWs, MIAs, and the Unending Vietnam War (University of North Carolina Press, 2009) examined the politics of loss that emerged from American defeat in the Vietnam Wars through a history of the POW/MIA movement. His current work-in-progress Tug of War: Confronting the Imperial Presidency, 1966-1992 presents left-liberal challenges to presidential war powers in "the long 1970s" as a vehicle for antiwar activism beyond the Vietnam War. Focused on the interplay between grassroots activists, beltway liberals, and presidential politics, it argues that such challenges were central to the political realignment and party polarization that emerged by the 1980s and that has defined U.S. politics since. Until the Last Man Comes Home: POWs, MIAs, and the Unending Vietnam War, University of North Carolina Press, 2009, paperback July 2012. "'Sacrilege of a Strange, Contemporary Kind': The Unknown Soldier and the Imagined Community After the Vietnam War," History & Memory , Vol. 23, no. 2 (Fall/Winter 2011): 90- 131. "'Help Us Tell the Truth About Vietnam': POW/MIA Politics and the End of the American War," in Making Sense of the Vietnam Wars: Local, National, and Transnational Perspectives, edited by Mark Philip Bradley and Marilyn B. Young, 251-75, Oxford University Press, 2008. My teaching, like my research, focuses on modern U.S. History, with particular emphasis on 20th-century political and diplomatic history, the fields in which I accept and train graduate students. At the undergraduate level, I regularly teach the second half of the U.S. History survey along with courses on the Vietnam Wars, the United States Since 1968, and seminars on war and society and American empire. I have advised two finished Ph.D. dissertations and am currently primary adviser to three other Ph.D. students. And I have advised five completed undergraduate honors theses and am currently advising my sixth. In 2013 I was named to the Associate Student Government faculty honor roll. Kaplan Institute for the Humanities Fellowship, 2015-16. Dirksen Congressional Center Research Award, 2012, 2000. Friends of the Princeton University Library Research Grant, 2011. Gerald R. Ford Foundation Research Grant, 2010, 2000.